The Bichon Frise has a naturally merry temperament with a sunny, loveable disposition. Their joy for life is evident in their playfulness and gentle nature, making them popular with children and adults alike. 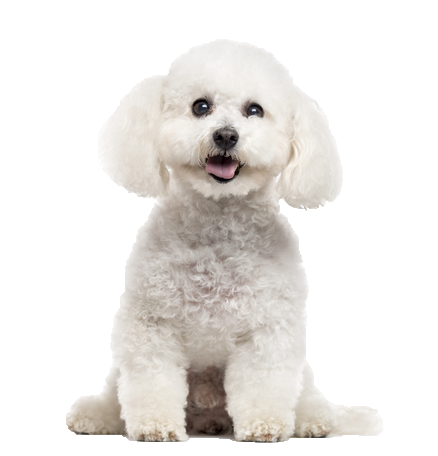 An intelligent breed who lives to please, your Bichon responds to commands eagerly and learn quickly. He does not require excessive amounts of exercise but loves any activity to be game based. Be prepared to devote a large portion of time to regular grooming. We can help with our range of natural PH balanced shampoos and conditioners.